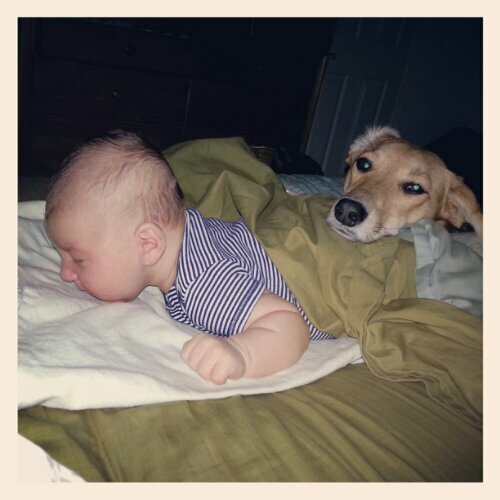 Some people are concerned about mixing children and pets… but I’m all in favor of it. Teaching kids and animals to interact with one another is super important. They learn to respect one another. So far, I am beyond pleased with the progress we are making with this in our home… and in the homes of our family members. I will just need to teach Munchie that we can’t run around licking all of the animals we see.